As the summer draws nearer, you will want to get out the camera to capture this year’s adventures and memories. Too often do we see these cherished memories lost for one reason or another. We want to help keep your data safe so you can share your pictures for years to come. This can be a daunting task if you are looking for a camera to suit your needs. The cost has decreased through the years and the needs of a digital camera have greatly diversified. There are many choices for both, with pros and cons to each choice. For simplicity sake, we are going to focus on digital cameras that are most common because of their versatility, also commonly known as “point and shoot” digital cameras. 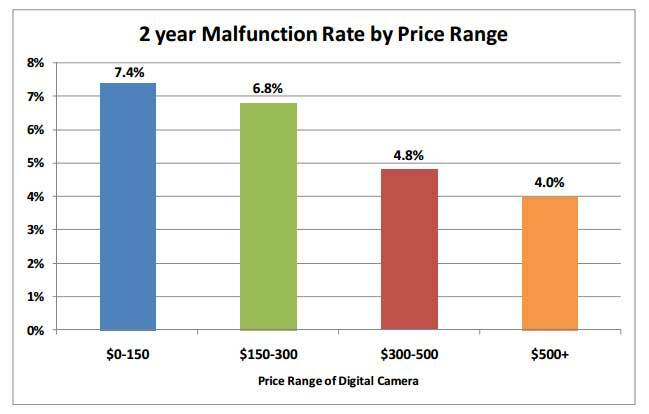 A recent study by Square Trade took the cost of digital cameras and their malfunction rates to determine what the most reliable camera brands are. For us that means trying to choose a digital camera the will be more reliable and lose less pictures. Across the board of all digital cameras it appeared that the reliability of a camera and the cost were directly related. The more money spent on a camera, the more reliable it seemed to be. In the study, with two years of camera use there was an 11% malfunction rate on all cameras tested. During the two year period 60% of the camera failures were concluded to be caused by the camera malfunctioning and not the users fault. While the other 40% of camera failures were due to accidents such as dropping. Below are the results of the entire study broken down by the cost of the camera. 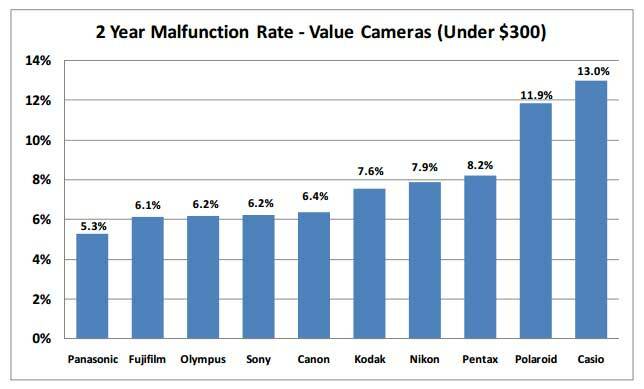 Most consumers will not be purchasing a camera over $300, for any of these cameras that are more “point and shoot” value cameras, the study is broken down by brand. The malfunction rate numbers that really stand out are from Polaroid and Casio. Surprisingly, Polaroid and Casio’s point and shoot cameras had nearly twice the issues with camera failure than that of other comparable brands. Take care to get the right camera and brand that will have less of a failure rate, helping to avoid losing any pictures. Sometimes it isn’t the camera that leads to losing data, it is how the camera is handled.